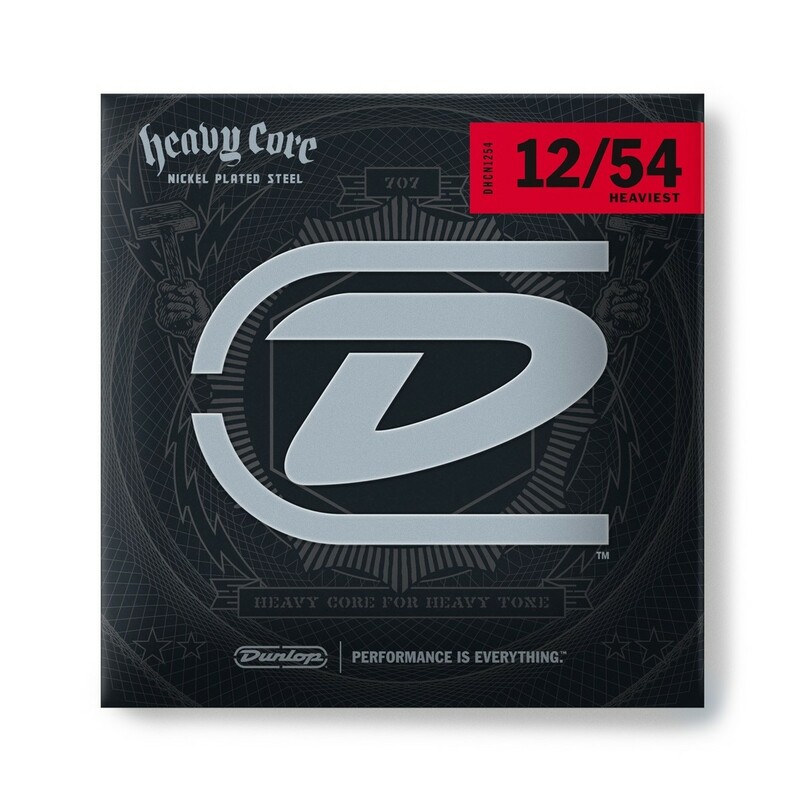 Jim Dunlop Heavy Core electric guitar 11-50 'Heaviest' strings are especially designed for the extremely Heavy electric guitar player that plays in dropped or lowered tunings. 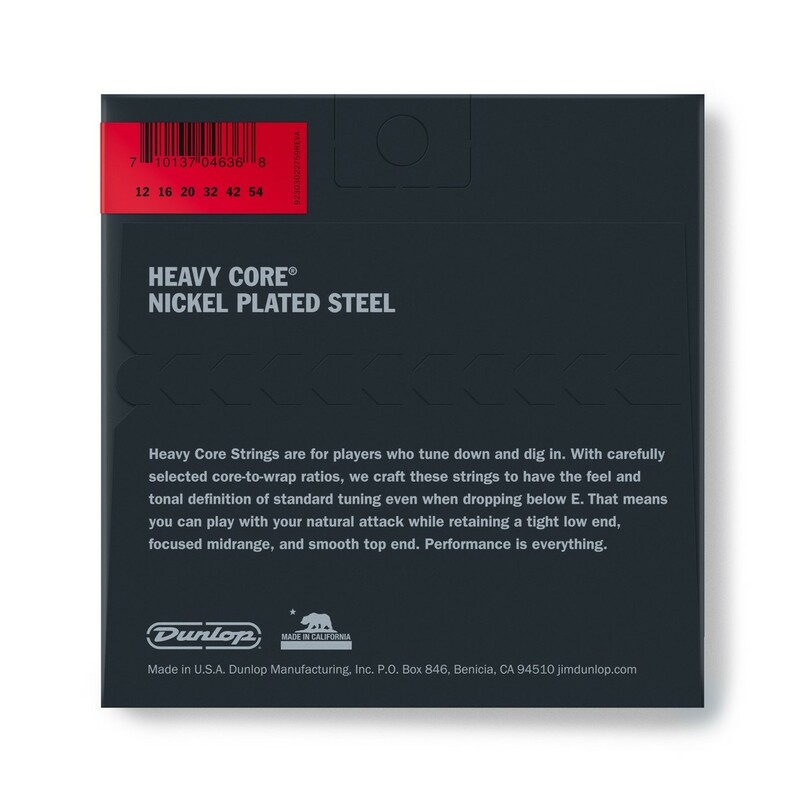 Dunlop's Heavy Core 'Heaviest' strings are created using a unique core wire and precise wrap ratios to offer players the ability to really "dig in" whilst preserving a tight low end, focused midrange and smooth top-end when playing clean or distorted. Users of Dunlop Heavy Core strings include Chris Howorth (In This Moment), Munky (Korn) and many more.